Finding cheap hotels in Bayswater is so easy because there are just so many to choose from! When you look for budget hotels in Bayswater, you can guarantee that you are going to be somewhere ideal for tourists and not out in the sticks. This is because the London neighbourhood of Bayswater and Queensway is a very popular accommodation option for tourists, as it is close to major attractions yet far enough away from the loud and busy centre. Just walking distance from London hotels in Bayswater is Kensington Gardens and neighbouring Hyde Park, with Princess Diana's old residence Kensington Palace located nearby. History buffs might like to visit the Tyburn Convent on Bayswater Road, where a replica Tyburn tree stands – the execution site of some notable martyrs and criminals! Meanwhile, tourists keen for a bit of culture can see contemporary art at the Serpentine Gallery, while shoppers can explore the best high street shops along Oxford Street. This comfortable London accommodation with continental breakfast is closer to the shops and just moments from the bars and restaurants in the Bayswater London neighbourhood. 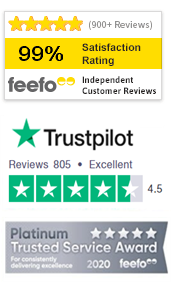 To help you find the right London hotels in Bayswater, check out the independent reviews from past guests on TravelStay, where they will give you their honest opinion on the hotel and the local area! Offering rooms at incredibly low prices for a basic three star hotel in London, Queens Park Hotel in Bayswater is extremely close to Paddington Train Station and places like Hyde Park and Kensington Palace. Ok, the decor may be a little tired, but there's a restaurant, a lounge bar and continental breakfast is even included in your cheap room rate. Hyde Park Whiteleaf Hotel has simple rooms at great prices! This cheap B&B in Bayswater is located on the doorstep of Hyde Park. You can get well priced Indian food for lunch and dinner in the restaurant. The delicious continental buffet breakfast is free! Ideally located in Bayswater, this 2 star London hotel is within walking distance of Hyde Park and Knightsbridge. You’ll also be able to stroll to the West End and Victoria Station during your stay at this budget hotel in Bayswater. Your room has a private shower, colour TV and direct dial telephone. Still just a few minutes walk away from Bayswater Tube Station is Leisure Inn London, a two-star cheap hotel in Bayswater from just £50.50 per person! If you're searching for cheap Bayswater hotels, stop looking and book a stay here! Hyde Park, Kensington Gardens and Bayswater Tube Station are all a short walk away. Hostel facilities include a TV lounge, self catering kitchen and WiFi. This London budget hotel is ideally located just a stone's throw from Hyde Park, in the cosmopolitan Bayswater area. The helpful staff at Craven Gardens Hotel will ensure your stay in London is a memorable one. Book a room at this cheap accommodation in Bayswater now! Fancy catering for yourself and staying on the doorstep of Hyde Park in Central London? Well you can afford it thanks to Hyde Park Apartments! This cheap accommodation in Bayswater offers you affordable and modern studio living with kitchenettes, internet access and satellite TV. Location's the name of the game when you stay at Notting Hill Hotel, which is just a stone's throw from Portobello Road Market in Notting Hill, Central London. This two star budget hotel in Bayswater has newly-renovated twin and double guestrooms too. My Pad in Bayswater offers you the chance to book a bed in London apartments for the same price as a hostel bed! You can even book a whole room or apartment if you like. You can check in 24 hours a day and there's a resident manager to help you! Secure your room at one of the cheapest hotels in Bayswater today! Tony's House Hotel is impressive on the outside but a little basic on the inside, but it is a London budget hotel with a great location! You'll get continental breakfast delivered to your room and be within walking distance of Hyde Park. This is a really cheap hotel in Bayswater and one that you’ll have a relaxing stay in.